The title defenders of 2015 AFC Asian Cup, Japan have been ruled out today in the quarterfinal match against UAE. United Arab Emirates have done the great job as they defeated 2011 Asian Cup champions Japan in the penalty shootout of 4th quarterfinal match played at Stadium Australia, Sydney. 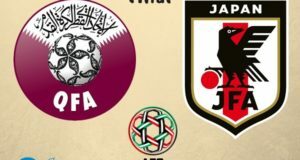 UAE beat Japan by 5-4 in the penalties. After completion of 90 minutes both sides were at level of score 1-1. United Arab Emirates Ali Mabkhout scored first goal of the match in the 7th minute. UAE maintained their lead till the first half of match and even they were leading in the game till 80th minute. Japan football team was looking aggressive and determined to score the level but couldn’t find the way to score. Gaku Shibasaki scored the goal for title defenders Japan in the 81’ minute. Now UAE and Japan were at the same score of 1-1. The game went in the extra time but after 120 minutes teams were at 1-1 and fourth semifinalist would be decided in the penalties. UAE kept nerves control and they beat Japan in the penalty shootout by 5-4 to qualify in the semifinal. United Arab Emirates to meet Socceroos in the semifinal match. Japan coach Javier Aguirre was satisfied with the team’s performance in the match but still he was sad as team knocked out from the tournament. He said that they had opportunities to take the lead but they failed to do so. “At the end, we went to penalties and that’s a 50 per cent probability of success. We showed a lack of care at the start of the game and that’s why we conceded a goal and we had to fight to score because of that until the last minute,” he added. UAE now face Australia in the second semifinal of Asian Cup 2015 on 27 January at Newcastle Stadium.